The DHT11 sensor can either be purchased as a sensor or as a module. Either way, the performance of the sensor is same. The sensor will come as a 4-pin package out of which only three pins will be used whereas the module will come with three pins as shown above. 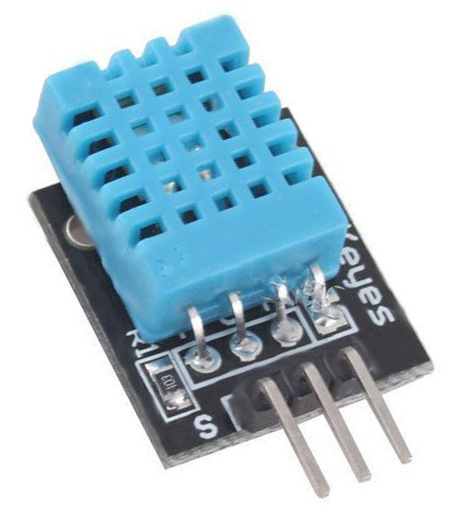 The only difference between the sensor and module is that the module will have a filtering capacitor and pull-up resistor inbuilt, and for the sensor, you have to use them externally if required. The DHT11 is a commonly used Temperature and humidity sensor. The sensor comes with a dedicated NTC to measure temperature and an 8-bit microcontroller to output the values of temperature and humidity as serial data. The sensor is also factory calibrated and hence easy to interface with other microcontrollers. The sensor can measure temperature from 0°C to 50°C and humidity from 20% to 90% with an accuracy of ±1°C and ±1%. So if you are looking to measure in this range then this sensor might be the right choice for you. The DHT11 Sensor is factory calibrated and outputs serial data and hence it is highly easy to set it up. 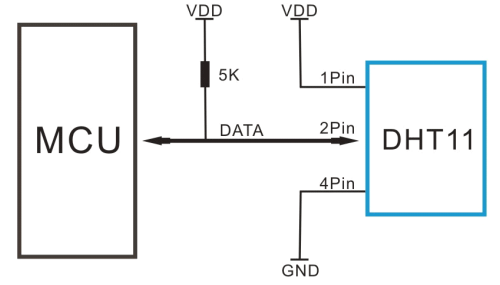 The connection diagram for this sensor is shown below. As you can see the data pin is connected to an I/O pin of the MCU and a 5K pull-up resistor is used. 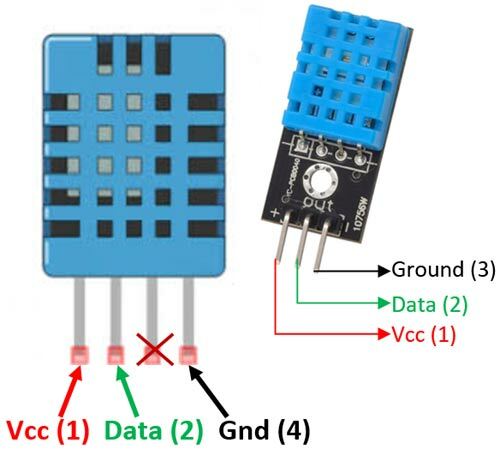 This data pin outputs the value of both temperature and humidity as serial data. If you are trying to interface DHT11 with Arduino then there are ready-made libraries for it which will give you a quick start.